Living in Litchfield Park, AZ might be nice in the summer time when the heat is high and the skies are sunny. However, Arizona does tend to get cold during the winter time. Contacting Superior Replacement Windows and upgrading your windows with insulated glass can ensure your home will stay warm during these winter months and cooler in the summer. This means a lower utility bill and a more attractive home or office building. Patio doors are often going to be the largest windows in the house, but also the most vulnerable to breaks and cracks. This is why it is vital to contact the best glass specialists to replace your windows. Now, not all window repair companies are alike. This is because some focus on only a few aspects, or certain types of windows. This is why Superior Replacement Windows is going to be your best choice. One way to make sure to keep the heat out in the summer and inside in the winter is installing high quality glass with excellent seals. The same goes for household glass like mirrors, glass shower doors and glass tub enclosures. These panes of glass are not only vulnerable to breaking but also create a lot of value for the home if installed properly. Choosing us ensures you are going to have a local company helping you out instead of someone who will charge you a large fee for traveling to your home. 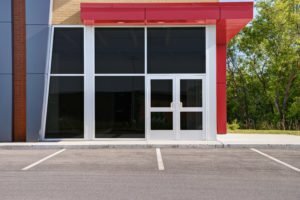 We have been in business fixing broken and damaged glass, or replacing entire windows for years. Each client is going to get the very best service we have to offer to residents of Litchfield Park AZ. We offer warranties on all our new window installation projects in Litchfield Park Arizona. 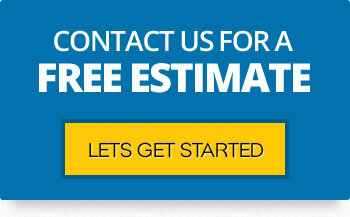 Contact Superior Replacement Windows today for a hassle free quotation. Litchfield Park is a small, affluent community situated in Maricopa County, just 16 miles west of Phoenix and easily accessible through the I-10. Named after Paul Weeks Litchfield, the town was originally started as a citrus growing settlement but land purchases made by the Goodyear Tire Company established a large cotton industry that supported the company’s production of auto tires to be used in World War I. Litchfield Park was incorporated in 1987. Although small compared to other cities, Litchfield Park is not short on sights to see and things to do. It is home to the Wildlife World Zoo Aquarium and Safari Park, the Champion Golf Resort, and the White Tanks Regional Park. The Wigwam Creek Shopping Center is a popular hang-out for locals. Another notable landmark is the Wigwam Resort, originally built as a guest building for Goodyear executives visiting from Akron, Ohio, but later opened to the public as a resort in 1929. Luke Air Force Base is also located in the city. Litchfield Park AZ holds numerous events throughout the year such as the Park Live Concert series, County Nights, Festival of Arts, Christmas in the Park, the Native American Fine Arts Festival, to name a few. The Kiwanis Litchfield Park Winter Trout Fishing Derby is another popular event that draws participants from within and around the city. Most of the festivals and concerts are held in open parks and are free admission events. Major employers include Morton Salt, Lockheed Martin and Luke Air Force Base. A retirement community nearby that caters to military retirees also employs a sizable number of local workers. Superior Replacement Windows has been an active part of the Litchfield Park community and local employer for over 10 years.